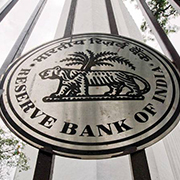 The Reserve Bank of India has revised rules pertaining to revival of advances to small businesses and asked lenders to form district level committees to resolve stressed loans to Micro, Small and Medium Enterprises (MSMEs). Restructuring of loan accounts with exposure of above ` 25 crore will continue to be governed by the extant guidelines on Corporate Debt Restructuring (CDR) or Joint Lenders' Forum (JLF) mechanism. There will be district-level committees which will resolve the stress in MSMEs under their jurisdictions. In case of a MSME banking with multiple lenders, the lead bank's panel's should deal with the issue. The committees shall comprise regional head of the bank as chairperson, and MSME loans incharge as the convener and member. The bank should also appoint an external expert nominated by the bank and a representative of the State Government.